Used MINI parts from WMW. 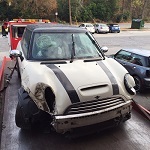 Way currently has 9 wrecked MINI's that are being broke down into parts. Every part form these wrecked and damaged MINIs are for sale. 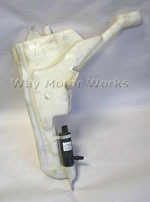 If you do not see a part you are looking for please email us as there are so many parts we usually don't have time to list each part. Current wrecked MINI's in stock 1 R50 Cooper non S, 5 R53 MINI Cooper S, 3 R53 MC40 Cooper S, 1 R56 Cooper S and 1 R56 Cooper non S.